When you’re the Senior Vice President of Worldwide Marketing for one of the richest and most successful technology companies in the world, chances are that you’ve forged yourself a pretty successful career and people will listen to what you have to say. Technology lovers will be more than familiar with Phil Schiller – who fills the marketing SVP role nicely at Apple – due to his numerous appearances on stage during product keynotes, but he has now taken to his Twitter timeline to share the latest developments in mobile security. His last Twitter update came seventy-two days ago in the form of a rather festive "happy Christmas" message, but it seems that he has deemed F-Secure’s latest Mobile Threat Report important enough to share with the social world. It isn’t entirely bizarre that Schiller would be concerning himself with the current security status of mobile devices in the wild, but the plot thickens when we find that the report itself focuses a lot of attention on the current vulnerabilities in the Android operating system. The tweet, which was posted within the last couple of hours, simply says "Be safe out there" with a direct link to the PDF security report. 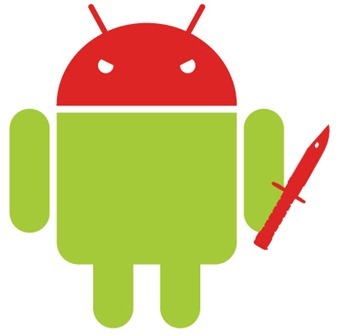 The report isn’t entirely focused on the flaws within Android, but it does highlight the growing threat in the mobile world, a great deal of which is centered around Android. The F-Secure produced document highlights a total of 301 different mobile threats discovered during last year, 79% of which were unique to the Android OS. Phil Schiller and his team will be pleased to know that only 0.7% of those threats were on iOS. There is undoubtedly going to be mixed public opinion on whether or not it is in good taste for an executive in Schiller’s position to be providing direct access to information that clearly takes a pop at the competition. With that said, the information and statistics shown in the report are entirely independent from Apple and it could be said that Schiller is purely highlighting information that shows the high security levels found in Apple’s software. Regardless of the Android and iOS divide, the report from F-Secure is definitely worth a read for those who find themselves in a position of concern about using their smartphones.